LANSING, Mich. (AP) — Democratic Gov. Gretchen Whitmer blocked the sale of a former state prison that was proposed as the site of a privately operated federal immigration detention center, drawing praise from immigrant rights activists and criticism Tuesday from a Republican lawmaker whose district stood to gain jobs. 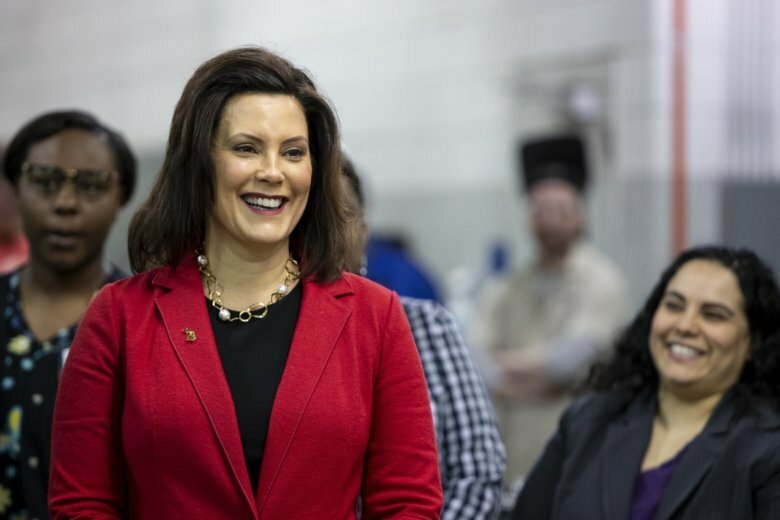 “The governor believes that building more detention facilities won’t solve our immigration crisis, and she also believes that separating families doesn’t reflect our Michigan values,” Whitmer spokeswoman Tiffany Brown said in a statement. GOP state Rep. Thomas Albert, whose district includes the former Deerfield Correctional Facility in Ionia — 110 miles northwest of Detroit — vowed Tuesday to fight Whitmer’s decision. “This issue is not going away,” he told The Associated Press, noting that he chairs the House subcommittee that is responsible for the Department of Corrections budget. Albert, of Lowell in western Michigan, said Whitmer’s administration added strict stipulations to the proposed development agreement, including that the facility not house any individual who had been separated from a family member at apprehension, during detention or any other time while in custody. The restriction, which would have applied for adults detained and separated for the purpose of criminal prosecution or unlawful entry, would have forced the company to release a detainee if he or she alleged that they have been separated, he said. Immigration Centers of America, which operates a detention center in Virginia, was the sole bidder for the former prison, which closed in 2009. Spokesman John Truscott said the Michigan facility would have offered a “much better and more humane” alternative than the current practice of housing detainees in county jails. It is a “possibility” that Whitmer could change her mind, “but we’re not counting on it,” he said. “Not only would a new prison anywhere in Michigan make it easier for ICE to tear families apart, one so far away would also make it harder for their lawyers to work with them, harder for their families to come visit them and much harder for the community to rally in their support,” the organization said in a statement.